I don't know if you're aware of this, but there's a U.S. Team that's trying to qualify for the Olympics right now. Actually, I know you're not aware of this, because I had to do some digging to find out when these particular Olympic trials were happening, and I'm a fan of this sport. More or less. I enjoy watching it more than certain other sports. So I guess that makes me a fan. The sport in question here is curling, and the U.S. Team in question is the men's curlers, headed by John Shuster, thus the name of the team, Team Shuster. Apparently creativity in curling names is not allowed. I suppose that would make sense, otherwise it would turn into an intermural league. There is a bit of civility in curling that doesn't exist in intermural softball. Although intermural softball teams have great names. So there's that. Anyhow, the U.S. Men's Curling team, Team Shuster, already won the American Olympic qualifier last month in balmy North Dakota, but because the Americans didn't finish high enough in international curling competition the past few years (and really, why would you expect them to? ), they actually now have to go finish in the top two in a separate Olympic trials to make the games in February. And let's face it, there's nothing that makes an American turn off the teevee faster when the Olympics are on than finding out that there aren't any American teams involved in a particular sport. And considering curling is one of those out-of-the-woodwork, people-enjoy-it-once-every-four-years kind of sports, NBC is not only going to broadcast most of the Olympic curling matches live on one of their 19 cable networks at oh-dark-thirty, they're going to have a three-hour curling wrap-up show every day when people are actually awake. Team Intermural Softball in action, Shuster throwing the rock. The part that is the most disappointing for Team Intermural Softball is that they actually came within one point of qualifying for the Olympics on merit, according to this preview article. Which is kind of a real bummer, man. But what would you rather be doing in December with the Olympics two months away? Would you rather be qualified and throwing rocks amongst yourselves in Minnesota or Manitoba day after day after day after day hour after hour after hour after hour after hour, turning into Jack Torrance at the Overlook Hotel, or would you rather be playing some international competition and getting yourself into playing shape? I would rather play somebody. And that's why spring training exists, so that teams don't go crazy. But the difference between spring training and these Olympic trials is that the Royals already know they're going to play in the league when it starts, and these guys don't. 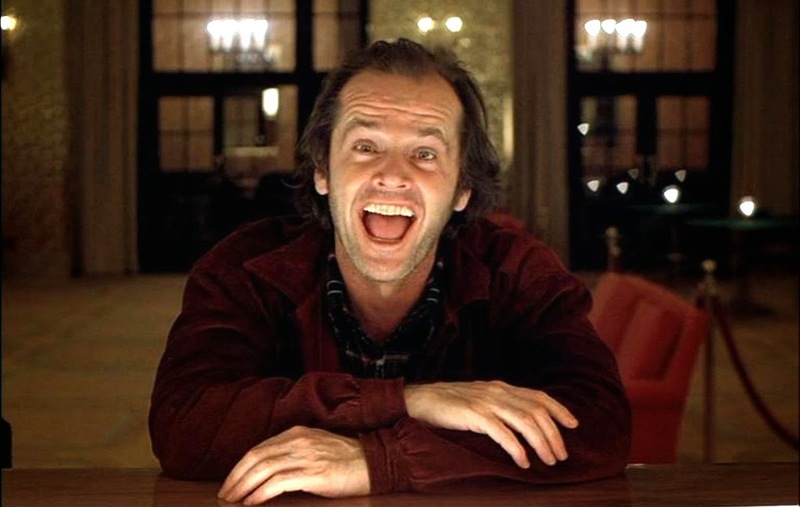 I suppose people would rather be already qualified and become Jack Torrance, at least temporarily. Hopefully temporarily. If they really wanted to turn into Jack Torrance, there would be a problem. Or several. 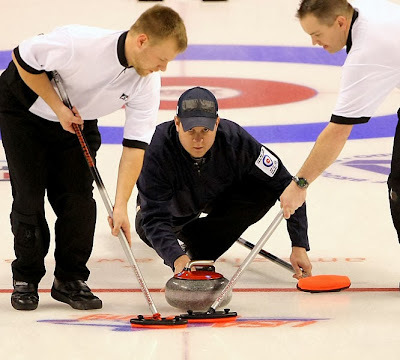 Anyway, with the Olympics happening in Russia, you'd figure that the curling Olympic trials would be in Russia. I mean, it would sort of make sense. It would also sort of make sense to not have the curling Olympic trials in Russia, considering that they're already going to have the Olympics so you might as well give another country some Olympics-ness. 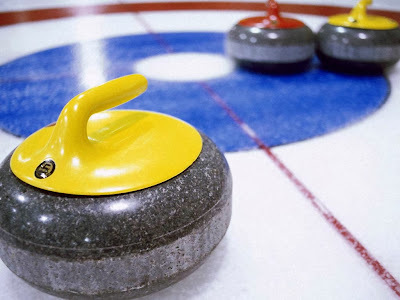 Having argued both sides of the coin, you won't be surprised either way, and the curling Olympic trials for Team Intermural Softball.... are in Germany. It's an eight team playoff with the host Germans, France, Czech Republic, Finland, Korea, New Zealand, and Japan. Apparently you play everybody once, and out of that, the top two teams play, with the winner going to the games. Then the loser of that match plays the third-place team for the second spot. You can keep track of the results, if you're so inclined, right here. And unfortunately, Team Intermural Softball has already lost their opening match. So there's a bit of an uphill climb, but keep on fighting the good fight, fellas. Remember, all work and no curling makes Jack a dull boy.